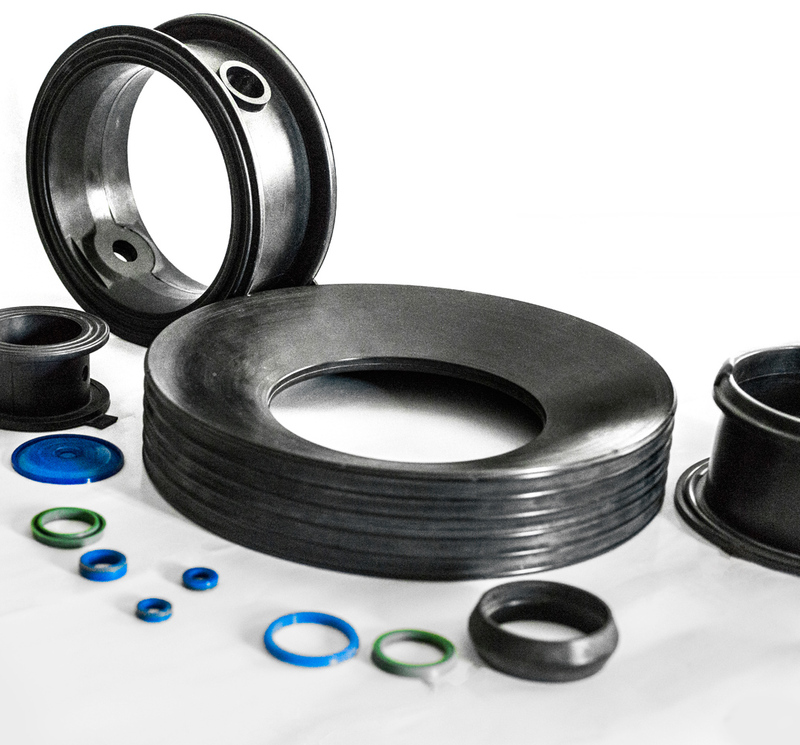 Rubber gaskets for water distribution - Seals for water pipes - Elastotech S.r.l. Water systems, irrigation, heating and sewage: gaskets designed for transpoting, distributing and regulating water flow are used in these sectors. What's required here is the ability to ensure a tight seal under diverse operating conditions (in terms of temperature, pressure, the fluid's chemical composition, and so forth). Elastotech provides the ideal product, formulated according to the most advanced technological criteria. For example, for membranes, the quality of the mix elasticity, and compliance with size tolerances are fundamental. Special gaskets for the industry of water transportation, distribution and use: non-toxic, approved for use in contact with hot and cold drinking water (NSF, WRc, DVGW, ACS, FDA, etc. ), for high and low temperatures, anti-abrasive, LSR (Liquid Silicone Rubber), high mechanical and chemical resistance, rip-proof, approved to EN 681, extremely elastic, for special and aggressive liquids, anti-ozone and weatherproof, anti-glycol and anti-chlorine etc.